Massage therapy is an effective way to release muscle tension, increase blood circulation, and enhance your overall health. The team at Grayhawk Family Chiropractic, LLC in Scottsdale, Arizona, includes two licensed massage therapists who offer a number of different massage techniques. To make massage therapy part of your treatment plan, call the office or book an appointment online today. 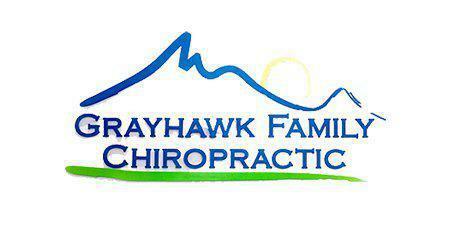 Karen or “Gert” as she is more affectionately known her clients, has been with Grayhawk Family Chiropractic since 2010. Karen attended Montana State University, and graduated from the Phoenix Therapeutic Massage College in 2000. Karen specializes in deep tissue, therapeutic and rehabilitation massage. This includes sport and pregnancy massage, as well as reflexology and cupping. Karen is a native of Montana, but has called Arizona home for the past 24 years. When Karen is not busy with her massage clients, she is hiking, swimming, golfing, skiing, paddle boarding and competing in running events. Karen recently completed a 50K trail running race! Nicholas graduated from the Arizona School of Massage Therapy in 2017. Nicholas has a background playing soccer and brings this experience to his massage practice, focusing on therapeutic stretching and sports massage. Nicholas started with Grayhawk Family Chiropractic in the fall 2018 and he has been a very welcome addition to our massage team. Massage therapy involves manipulating your muscles, tendons, and ligaments through pressing and rubbing the surface of your skin with hands and fingers. There are various styles of massage therapy that incorporate different movements, pressures, and techniques. Therapeutic massage helps relax tight muscles, relieve pain, and reduce stress. This type of therapy may support other treatments, such as chiropractic or acupuncture, to facilitate rehabilitation after sports injuries, illnesses, or surgeries. What are different therapeutic massage techniques? Swedish is the most common type of massage. This technique involves long, soft, kneading motions in addition to light, rhythmic tapping. The goal of Swedish massage is to relax muscles and relieve tension. Sports massages are customized to boost the muscle systems involved in a particular sport. This type of massage helps athletes in training to improve flexibility and prevent injuries. It also facilitates rehabilitation after a sports injury. This technique involves stimulating specific pressure points on your hands, feet, and ears to relieve pain and promote general well-being. This technique focuses on trigger points, or areas of tight knots, that form in your muscle fibers after injury or overuse. Pregnancy involves major changes to your body. Prenatal massage can make the transition easier by relieving stress and reducing muscle and joint pain. The expert massage therapists at Grayhawk Family Chiropractic offer methods like stretching therapy and cupping to complement your massage. Cupping creates gentle suction on your skin’s surface to enhance circulation and reduce pain and inflammation. 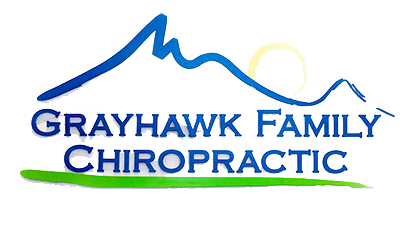 To learn more about how massage therapy can help relieve your pain and make you feel more relaxed, call Grayhawk Family Chiropractic, LLC or book an appointment online today.